Pattern Sizing: It came in a size 14-22 and I cut a size 16. Were the instructions easy to follow? Yes, it was pretty easy to follow giving that the pattern is not simple to make. What did you particularly like or dislike about the pattern? I absolutely love the 3 tiered asymmetrical gathered ruffles at the bottom, it's so unique. 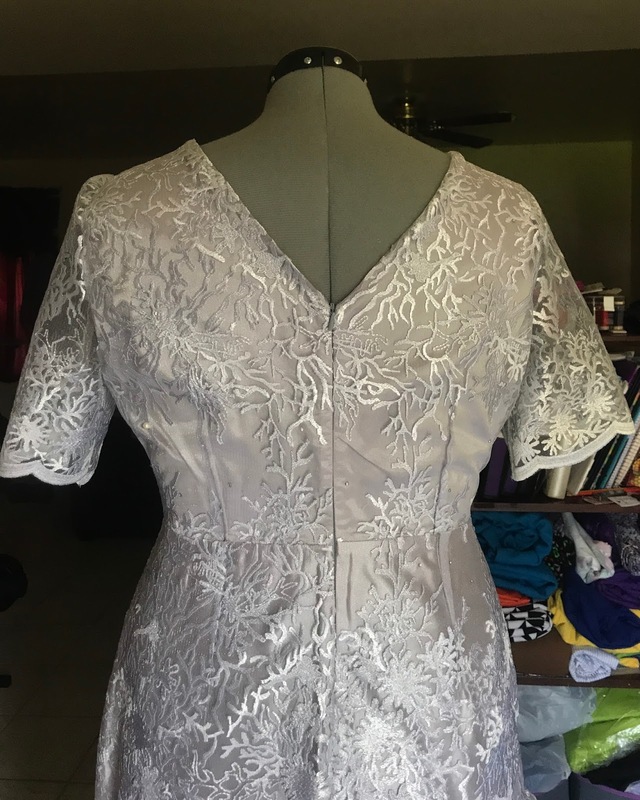 Pattern alterations or any design changes you made? 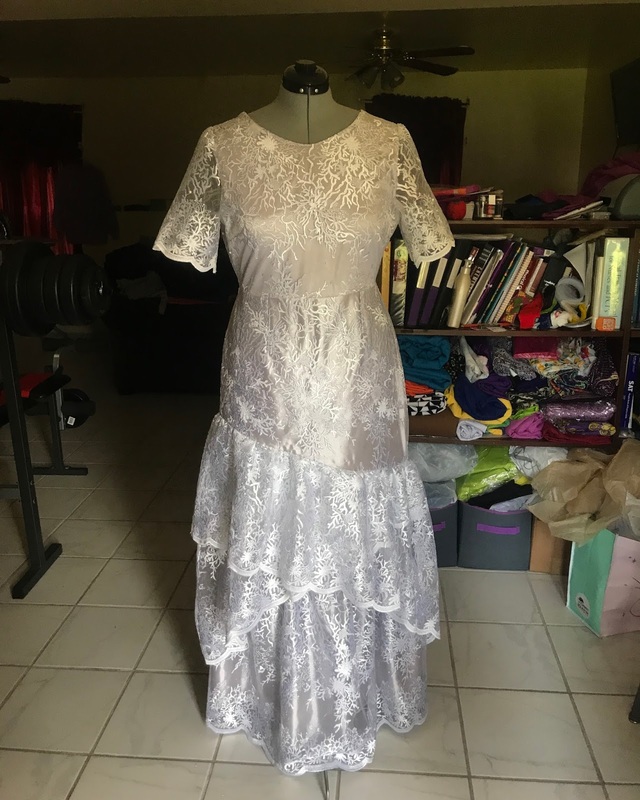 I actually made a lot of modifications, It is a skirt pattern but I made it into a dress using McCalls 7315 for the bodice and this pattern for the skirt portion. Since it is a sheer fabric I had to cut 2 of each piece (1 main fabric and 1 lining). 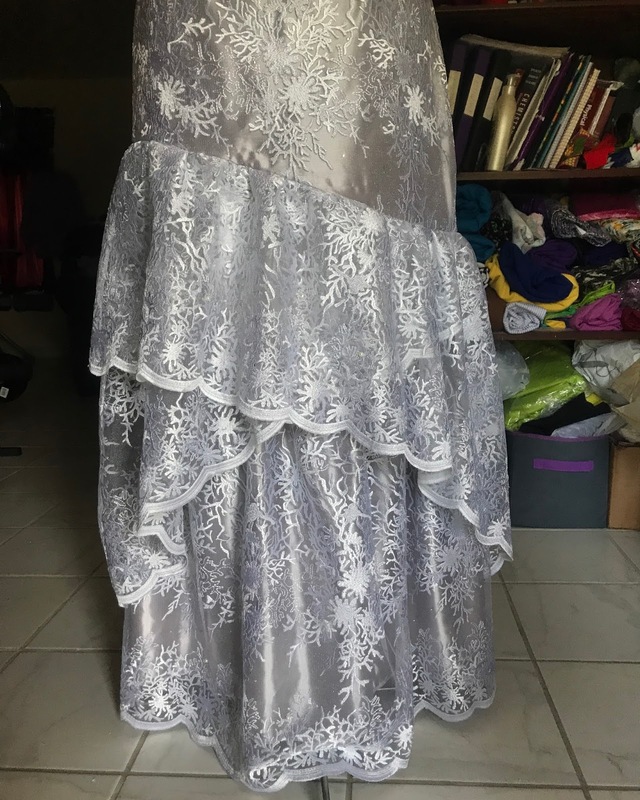 In the cutting process for the skirt, I wanted the scalloped hem of the fabric to show so I had to do some strategic placement for the 3 tiered gathered ruffles. So the pattern instructs you to gather each tier and sew it on to the upper skirt portion one by one, I didn't do that. Instead I joined the 1st 2 ones together (since they weren't lined) using basting stitched and then gathered them before attaching it to the skirt. I joined the 3rd one with lining, then gathered and attached it previous one. Would you sew it again? Would you recommend it to others? Yes, I would definitely recommend it if you are looking for a pattern to make for a formal event. 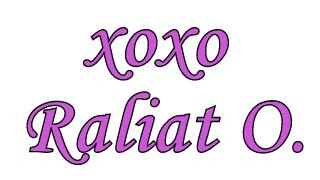 I doubt I will be making it again, I think one in my closet is enough. Once I figured out how to install an invisible zipper, I rarely use a regular zipper. I love the finished look of a nicely installed one. Wow. That was an AMAZING fabric choice for the aso-ebi though. Like seriously, fantastic fabric and you did a great job with it.